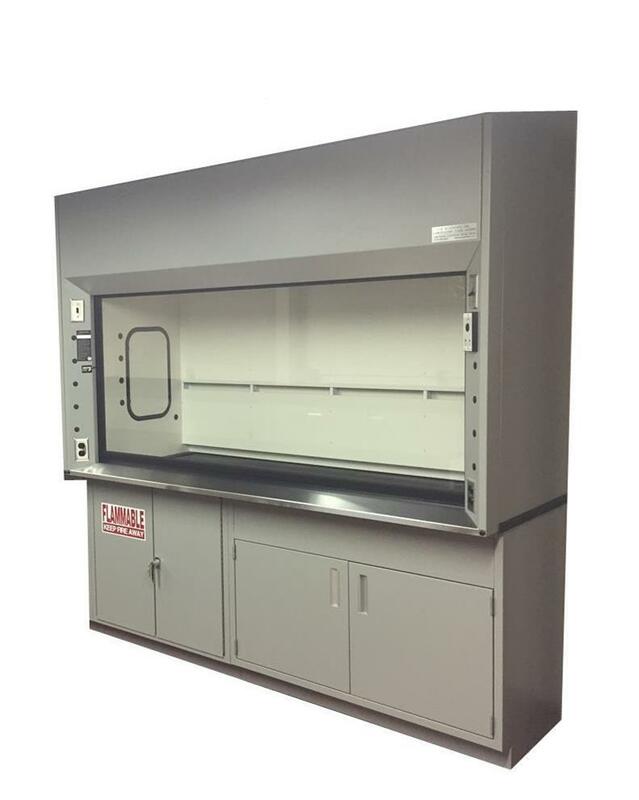 LOC’s Variable Air Volume Fume Hood is specifically designed for use with exhaust control systems provided by other manufacturers that monitor and control the amount of air being exhausted from the hood. 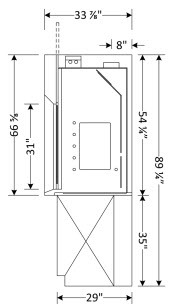 The use of these devices will allow air flow to adjust according to the position of the sash, as opposed to constant air volume systems. This ensures a constant face velocity is maintained while working and contributes to superior hood performance. 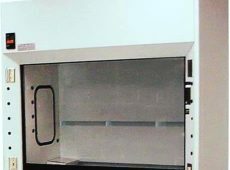 This greatly reduces the operating cost of the system making you more energy efficient. 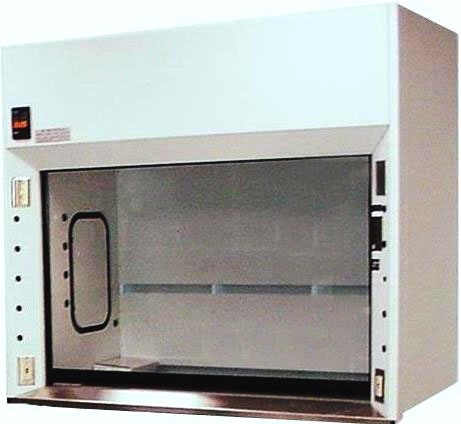 A variety of optional service fixtures are available from LOC for installation in the Variable Air Volume Fume Hood. Mounting holes for service fixtures and electrical receptacles are pre-cut and capped when fixtures are not required. A lintel restricts the air intake to the front sash opening. The exhaust volume can be varied by the VAV controls. Sash is glazed safety glass with full width flush PVC pull and includes a spring loaded sash stop. 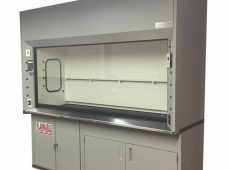 Hood entrance is framed with inward-angled members to minimize turbulence and provide smooth air movement at face velocities ranging from 60 to 150 FPM. 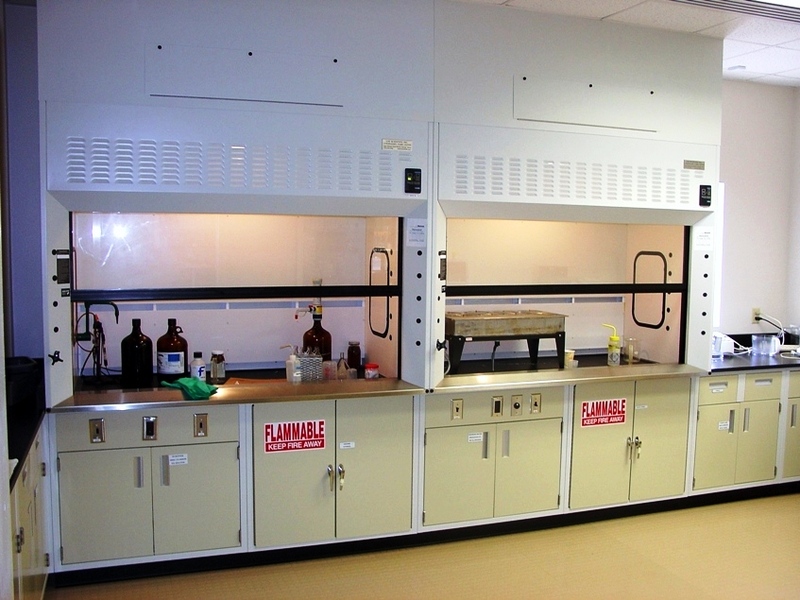 Standard “Resin-Chem” interior liner with removable access panels on both sides.